NEW PRICE! Builder Wants this Move-in ready home SOLD This week! No Mello Roos NO HOAThis Plan 2 for the Topa Topa collection has it all. And it's a quick closing home. 4 bedrooms (one downstairs) 3 baths, Office, Loft, California room, huge walk-in pantry and a 3 car tandem garage - Upgrades include, Dark Shaker Cabinets with soft closing doors and drawers, upgraded lighting package and pre-wires, Vault SS farm-style sink in kitchen, laundry sink, A/C and front yard landscaping. 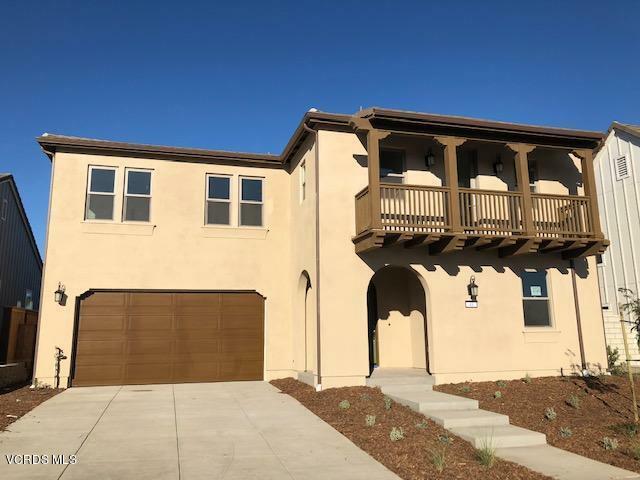 The balcony off the master is an added bonus.The Farm, is a new master plan community on the East end of Ventura, considered by some to have the best weather on earth. Located in a rare, rural setting among flower fields and citrus orchards, The Farm will bring you back to a time once forgotten! Located between the foothills to the North and the Pacific Ocean to the South, the city of Ventura enjoys a mild Mediterranean climate year-round. Ventura's cool ocean breezes will refresh and energize while you stroll along The Farm's wide sidewalks, tree lined parkways and over 6 acres of parks! The Farm is just minutes to shopping and dining, beautiful beaches and miles of gorgeous coastline, and is a homebuying opportunity you will find nowhere else in California!